There was a brief period of time wherein people did not want to visit New York. Going there and walking the streets meant that the odds of being mugged or worse were fairly high. This meant that the tourism that is now so incredibly prevalent there was much lower, in spite of the city’s status as an internationally significant one. Projects, graffiti and homeless people stood out then as being equally iconographic as the skyscrapers that have created the beautiful city skyline that New York City is famous for. Over a period of several years now, something has happened to change the face of New York. It’s still a little dirty, and many of the people are rude, but that might just be and East Coast phenomenon all together. Broken windows invite more broken windows, which in turn may turn into entrances for vandals and squatters. Damaged or poorly maintained places simply ask for more abuse because they already show the signs of disrespect or carelessness. This was the city. 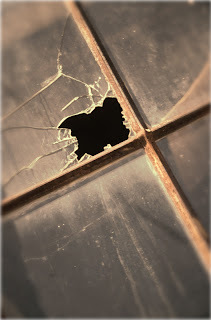 This is “Broken Windows Theory” brought about by an article by James Q. Wilson and George L. Kelling way back in 1982. Later, Kelling wrote a book with Catherine Coles on the topic. Shortly after that, application of the principles of the book were being applied in the subway system of New York. Mayor Rudy Giulliani saw the success that it had in that one facet of public life, and began to apply it to the remaining aspects of the city. Giving people something to be proud of is one of the most empowering actions one can take. Making people happy to be a part of something such as a community, club, school, or church will inevitably make them want to invest their time, effort and resources that direction. This is no little-known fact, it’s obvious. We see in in the indoctrinations of employees by large companies all the time. Making people loyal to brands and companies ensures devoted customers and employees. Starbucks is probably the best at this, it’s disgusting. Well, what about the temple of the Holy Spirit? Not just the body, but the soul attached to it as well? People that don’t value themselves show it with actions that debase their minds, spirits and bodies, and it irritates the crap out of me. I recently had one of the guys in my small group come out and confess that he’s been smoking cigarettes and pot. His attitude has been ridiculous to the point where I just want to punch him in the throat, but I really am more patient than that. I just like to joke about being mildly abusive. The funny thing is that a lot of my guys are bigger than I am, so beating them isn’t incredibly realistic! I was obviously annoyed that this wonderful person was doing this, but even more-so because I have been warning all of the guys that I work with about that garbage for years now. I’ve been there, and have done that. I smoked for seven years before God was gracious enough to deliver me from the nasty habit. I smoked a lot of weed in my day as well, and it’s just not worth it! I’ve told these guys that if they ever had questions, that they could be honest with me about them, and I’d be honest in return. I guess this one didn’t quite get there, but I think I know why. Not feeling valued by the right people can really make one question his worth in certain contexts, and if he or she just sees that abandoned old place with a bunch of broken windows, they’re more than likely going to break a few more. This young man wanted attention from a particular set of people who will never give him that attention. Mine has been so consistent now that the value of my regard has been lessened because it seems to be automatic or expected. Add to that teenage angst, easy access to drugs, alcohol and tobacco, and you’ve got a mess. Of course we’re now having accountability meetings once a week, and I’m walking him through how to rely on God when he’s craving something, but what makes this whole thing difficult is that this young man is still having self-esteem issues and doesn’t really want to take care of himself. Like I said, we need to value something to want to take care of it. I can try to make him understand that he’s worth so much (Ps. 139), and that he has a future and a hope (Jer 29:11) but it really is going to take a God revelation for him to understand that. I went through this at one point in my life too, where I wasn’t feeling valued beyond what I did, and I hated every minute of it. I worked my tail off and found my identity in that. God has since shown me that I’m not just a resource, and I’m grateful for that because it certainly makes life a lot more enjoyable. My prayer is for people to understand their value not as from humans, what they do, or anything like that, but for them to understand how important they are to God.